Add lamination for only £10 more! Click here to go straight to this product on our store, select whether you want single-sided or double-sided cards, upload your artwork and complete your order! If you need help with template guidelines, right click and download here, if you require any further help please visit our FAQ page here. Thank you for visiting Bombouche and we look forward to working with you. 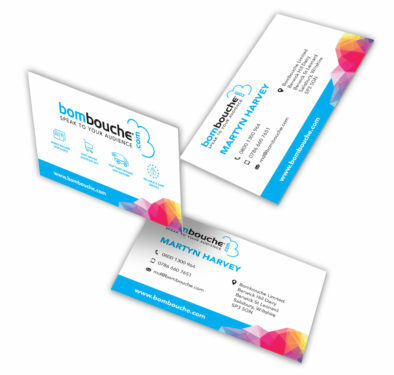 Order Your Business Cards Here!